We are from the tiny South Pacific Island of New Zealand. 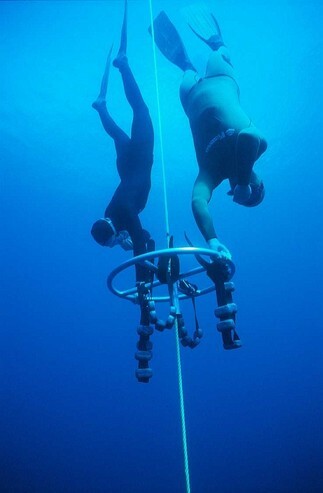 Here is our first attempt of a tandem variable weight dive, we made it to 30 metres. Hope you enjoy the photo as much as we enjoyed doing the dive! !